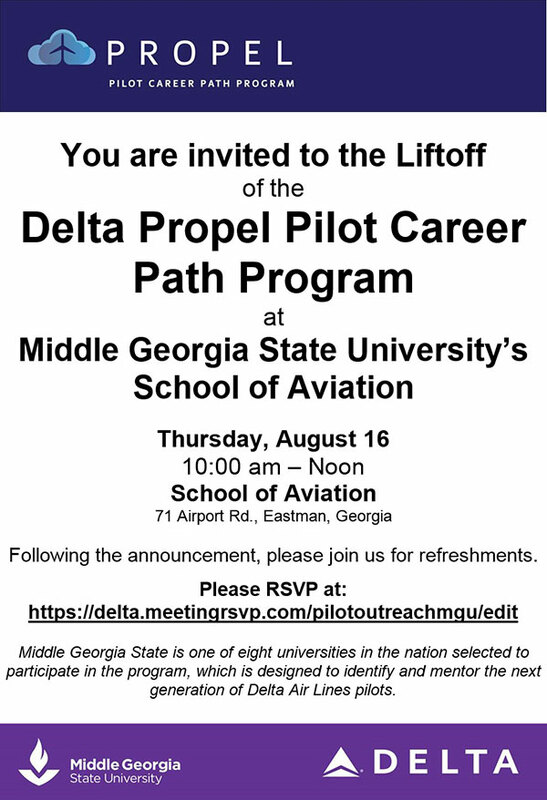 To celebrate the launch the Delta Propel Pilot Career Path Program, Middle Georgia State University and Delta Air Lines will be hosting a Liftoff event on the University's Eastman campus on Thursday, August 16. The event will provide current and prospective students and their families and friends the opportunity to connect with employees of both Middle Georgia State and Delta. Middle Georgia State University is one of eight universities in the nation selected to participate in the program, which is designed to identify and mentor the next generation of Delta Air Lines pilots. 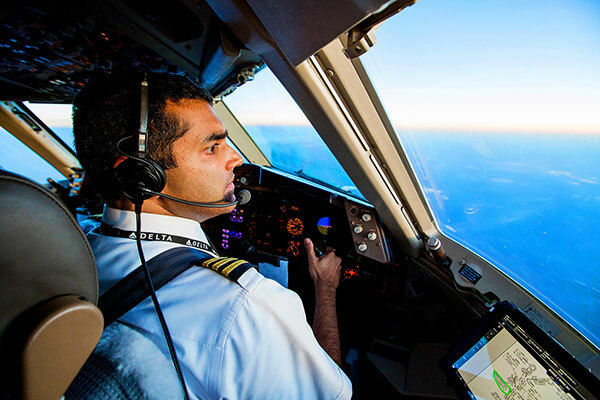 Students selected to participate in the program will receive a Qualified Job Offer from the airline, and will enter one of three 42-month pathways into a job as a Delta pilot upon completion of their degree. The Liftoff event on August 16 will feature speakers from both the University and Delta, and refreshments will be served. The event will start at 10:00 am in the City of Eastman room on the University's Eastman campus. Anyone interested in attending should complete the RSVP form online at https://delta.meetingrsvp.com/pilotoutreachmgu/edit. For more about the Delta Propel program at Middle Georgia State University, click here. To view the invitation for the Liftoff event, click here. For directions to the Eastman campus and a map of the Eastman campus, click here.